It’s safe to say that I am now addicted to facebook & True Blood. And I can play Bejeweled Blitz on there. Wow! Now that’s just too much fun for one place. And don’t get me started on True Blood. Love the show! 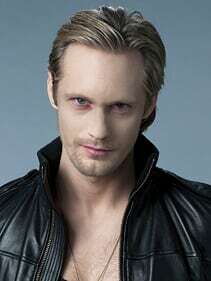 Love Alexander Skarsgard! I must have a thing for Nordic men. First Viggo Mortensen. Now Askars, as I’ve seen on some of the pages. But he really is rather HOT!!! Love it when he tricked Sookie into drinking his blood. And those dreams, phew! Is it hot in here!